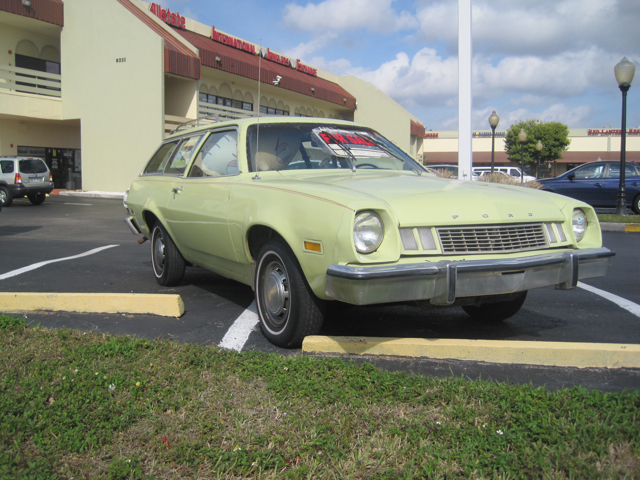 Finding a 1977 Ford Pinto anywhere, let alone Boca Raton, Florida is like finding a real live Pinto in your neighbor's backyard. It's probably not going to happen. But today the unlikely occurred -- a Pinto sighting! The "For Sale" sums it up rather succinctly, "When was the the last time you saw a Pinto?"